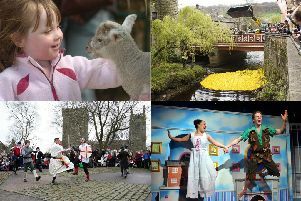 A spring festival is being planned for Mytholmroyd. A Mytholmroyd Festival committee has been set up and they are inviting interested members of the public to attend a public meeting to progress the idea later this month. The proactive team have already begun planning and organising a community-focussed event which they hope will have a “village fete” feel about it, say the organisers. They say they hope to involve local artisans and eateries around the village, plus craft stalls and live music as well as competitions such as ‘Cap Throwing’ and the ‘Best Cake’. Janet Warne, chair of the Mytholmroyd Festival as well as president of the Mytholmroyd Marmaladies WI said:‘This is an exciting time for the village, this festival is bringing the best of the village together for a fantastic day. The committee will be holding a public meeting at the Calder Valley Club, Burnley Road, on Thursday, January 29 at 7.30pm.